Own Rooted vs. Grafted Vines: Which Make Better Wines? Bedrock sources grapes from old California vineyards such as own-rooted Evanghelo, planted in the 1890s in Contra Costa County. In the late 19th century, a New World pest called phylloxera ravaged the Old World's vineyards. The only solution was to graft new vines onto rootstocks resistant to the louse. Today, the vast majority of the world's vines are grafted. However, scattered across the wine world are small pockets of vines planted on their own roots. Some of them are ancient vines that survived the original epidemic. Others are planted in areas and soils that have resisted the louse. Working with these vines is a risky choice, as they remain susceptible to phylloxera. But some vintners believe "own-rooted" vines produce better wines. I recently attended a seminar exploring the benefits of own-rooted vines led by Morgan Twain-Peterson, owner and winemaker at Bedrock winery in California, and Dr. Ulrich "Ulli" Stein of the Stein estate in Germany's Mosel region. Both work with grafted and ungrafted plants, with some sites dating back to the late 1800s or early 1900s. But their experience has led them to different conclusions. Mosel vintner Ullrich Stein amid the 90-year-old ungrafted Riesling vines in the Palmberg vineyard. They agreed that grafted vines introduce an extra variable into the quality equation: the rootstock. 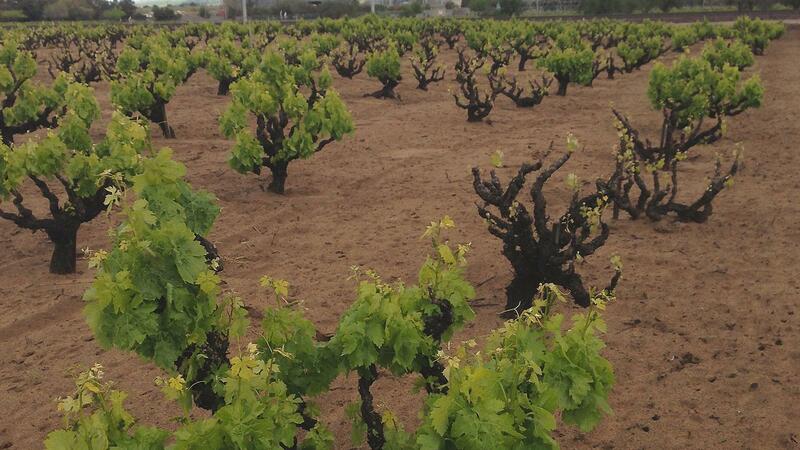 According to Twain-Peterson, certain common rootstocks, such as St. George, widespread in California, take a lot of nitrogen and potassium from the soil, causing a pH imbalance in the soil and in the wines. Selecting a rootstock that works with a particular variety and the soil type, he said, is crucial for the final quality. Twain-Peterson noted that in grafted Zinfandel, grape clusters are not uniform, producing larger and smaller berries, which can cause problems in winemaking. In his ungrafted Zinfandel vineyards, the clusters are more uniform. But Stein said that he gets uneven Riesling clusters more in his ungrafted vineyards, and he actually prefers those. Most own-rooted vines are old, and the two winemakers, as well as others I've spoken with, agreed that older vines in general, with their deeper roots, don't need as much fertilization or irrigation, handle extreme weather better and are more resistant to fungus and diseases. This can help them more consistently produce balanced wines of character. Given the pros and cons, I asked, why take the risk of working with ungrafted vines? Twain-Peterson answered that the ungrafted vines have a more profound relationship with the soil. He believes that his best grapes come from vines on their original rootstock, and he would prefer to work with them as much as possible. Stein's position was that if he were to plant new vineyards in the future, he would graft the vines. In his opinion, the difference in quality is almost unnoticeable if the vines are the same age and grow in the same conditions. So do own-rooted vines really produce superior wines? The seminar tasting couldn't answer that, as the wines from grafted wines were also from older vineyards. To fully answer the question myself, I would have to taste a number of wines from both types of vines, of roughly the same age, grown on the same soils and crafted in the same way. The old vines have their special place, and I am glad they are conserved. Luckily, if the day comes when all vines are grafted, we will still have delicious wines to enjoy. Have you done any comparative tastings of wines from ungrafted and grafted vines? What is your experience? Follow Aleks Zecevic on Instagram at @azecevic88.